Andrea is a poet, and works closely with contemporary poets in the UK and abroad. She has performed throughout the UK, Europe, Canada, the US and Lebanon, and has been invited to speak about poetry by the British Council, the BBC, the Arts Council, and the Poetry Society. Her work has been translated into eleven languages, and is the subject of a large number of critical essays. She is co-publisher of the small poetry press Barque, and founder and director of the ‘Archive of the Now’, the UK’s largest digital archive of performances by experimental poets. Brady, Andrea. “Drone Poetics.”New Formations 89/90 (2016): 116-36. Brady, Andrea. The Strong Room. London: Crater Press, 2016. Brady, Andrea. Cut from The Rushes. Hastings, UK: Reality Street, 2013. Brady, Andrea. Mutabililty: Scripts for Infancy. London: Seagull Books, 2012. Brady, Andrea, and Emily Butterworth. 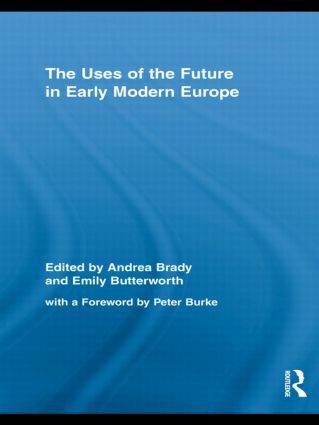 The Uses of the Future in Early Modern Europe. London: Routledge, 2009.